Manoj Prasad had approached the Delhi High Court yesterday seeking bail in the case, following dismissal of his similar application by a trial court here on November 3. The Delhi High Court today dismissed the bail plea of middleman Manoj Prasad in a bribery case allegedly involving CBI Special Director Rakesh Asthana. Justice Najmi Waziri denied the relief to Mr Prasad, saying the allegations against him were serious in nature and noted the CBI submission that the investigation is at a crucial stage. Additional Solicitor General Vikramjit Banerjee and Advocate Rajdipa Behura, appearing for the CBI opposed the bail plea on the grounds that investigation was at a crucial stage and Mr Prasad's case was different from that of other accused. Senior Advocate Siddharth Luthra, appearing for Mr Prasad, said he has been in custody for nearly a month and he has not been interrogated even once by the CBI during this period. 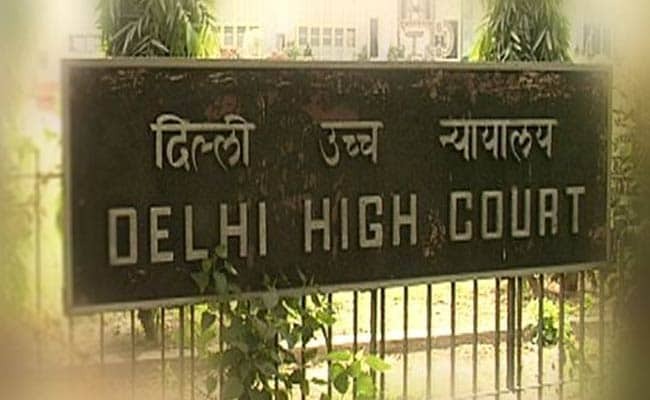 Mr Prasad had approached the Delhi High Court yesterday seeking bail in the case, following dismissal of his similar application by a trial court here on November 3. The trial court had denied bail to Mr Prasad, saying it was not a fit stage to grant him the relief. Mr Prasad, who was arrested by the CBI on October 17, is currently in judicial custody. Mr Prasad, Mr Asthana and CBI's Deputy Superintendent of Police Devender Kumar have also filed separate petitions in the high court seeking quashing of the FIR against them which are listed for hearing tomorrow day. In his bail plea before the trial court, Mr Prasad had claimed that he was not required for custodial interrogation and no purpose will be served by keeping him in further custody. The probe agency had opposed his plea, saying the accused was an influential person and if released on bail, he may tamper with the ongoing probe and flee from justice. Mr Kumar, who was arrested on October 23, was granted bail by the trial court on October 31. While hearing Mr Prasad's plea challenging the FIR, the high court had earlier observed that his case was on a different footing from that of Mr Asthana and Mr Kumar. It had said Mr Prasad was a private person while Mr Asthana and Mr Kumar were public servants and nothing stops the CBI from probing a private individual. Mr Prasad, a resident of Burj Khalifa in Dubai, has also sought a stay on the investigation by the agency till the disposal of the petition. The CBI had registered the case against Mr Asthana on the basis of a complaint from Hyderabad-based businessman Satish Sana, facing probe in the 2017 case allegedly involving meat exporter Moin Qureshi. Mr Sana alleged that the officer had helped him get a clean chit. The agency had arrested Mr Prasad in the case, when he returned from Dubai. It was alleged by Mr Sana that Mr Prasad and his brother Somesh had taken Rs 2 crore to arrange a clean chit to him.